I bought this lens after trying the Sigma 70-300mm APO DG, etc. etc. It was a lens I just couldn’t get on with. But, the 70-300mm has become a staple in my light bag along with the Nikkor 24-85mm f2.8-f4.0 and the Nikkor 105mm f2.8 VR for macro work. It’s really handy for a lot of handheld telephoto work and quite a lot of the images taken with it show up in this blog. As a simple example of what it can do, here is a straight from the camera (D90) jpeg at full size. 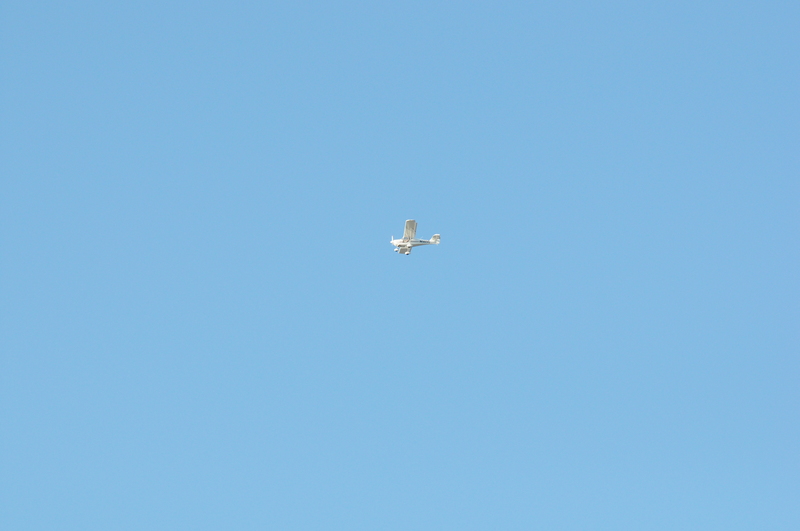 and here is a crop of just the airplane from that 4288×2848 12MP original. The only post processing done to this was to slightly increase contrast in Faststone Image Viewer to bring the lettering out a little better. 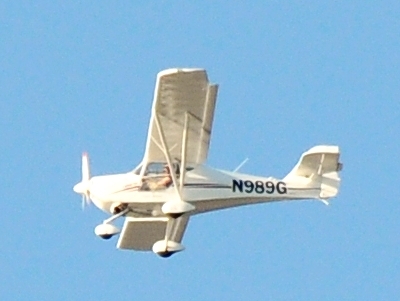 The aircraft, by the way, is an AeroPro Eurofox. This entry was posted in Camera Gear and tagged 70-300mm VR, Aeropro Eurofox, lens, Nikkor, Photography. Bookmark the permalink.